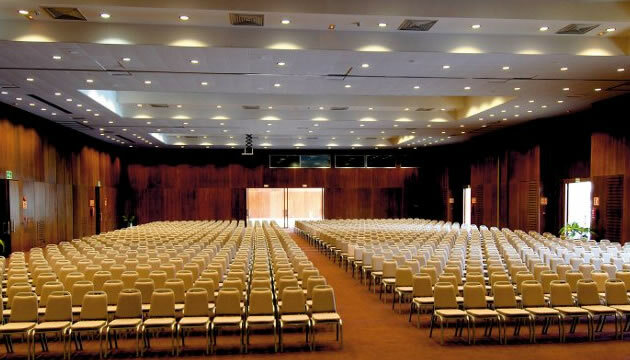 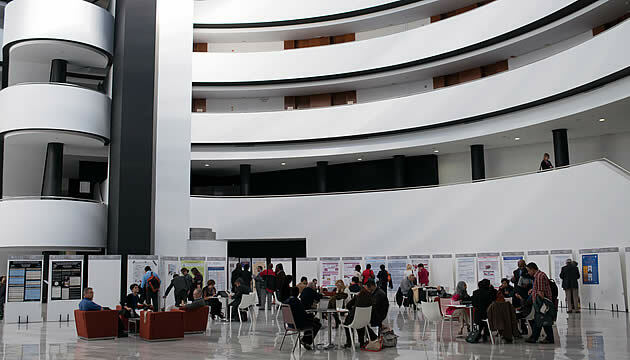 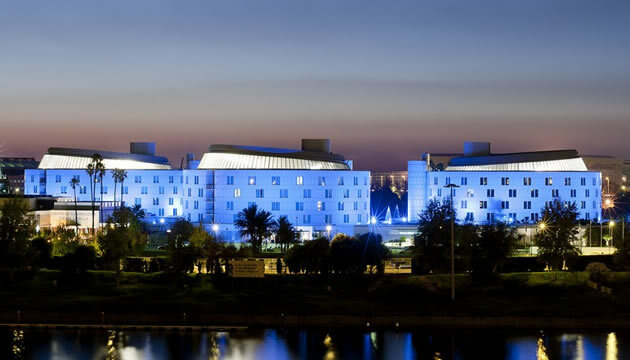 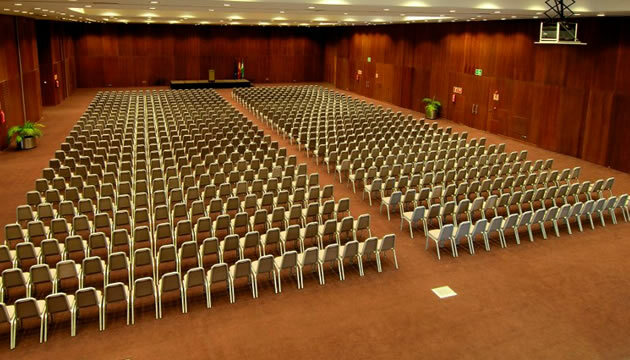 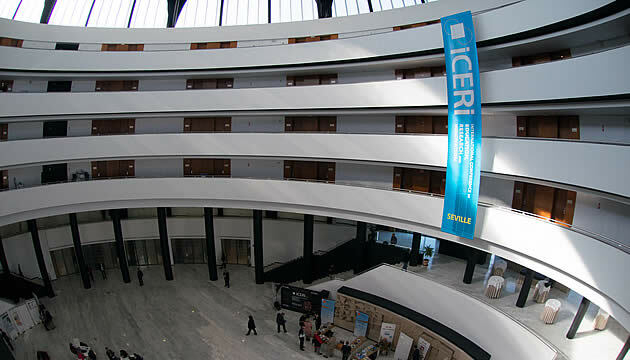 The Barceló Renacimiento Hotel, in Seville, will host ICERI2019. 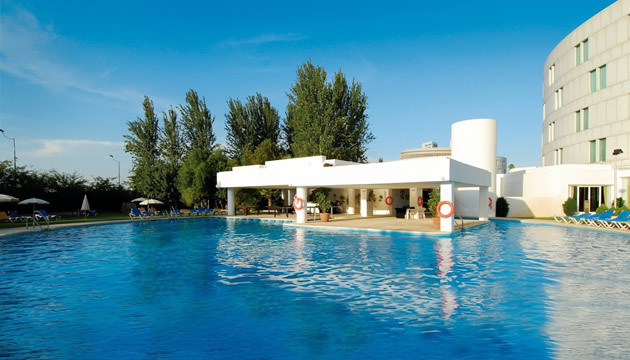 Entirely refurbished in 2012, it is situated on the banks of the Guadalquivir River. 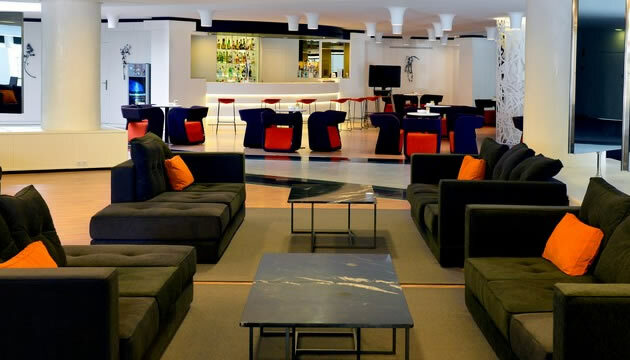 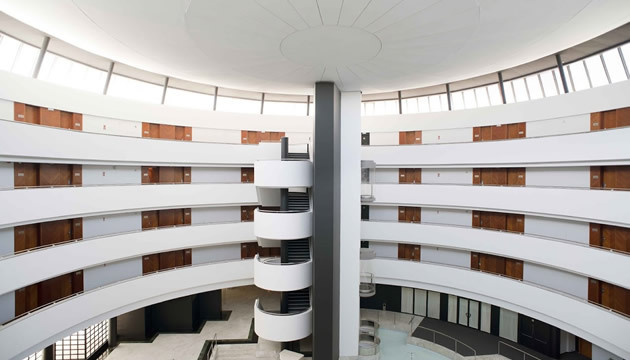 The hotel was designed by Javier Carvajal Ferrer, one of the foremost Spanish architects of the 20th century, a standard bearer of modernism, and internationally considered a master. 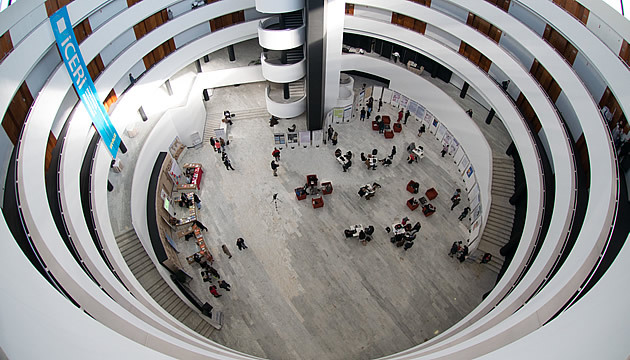 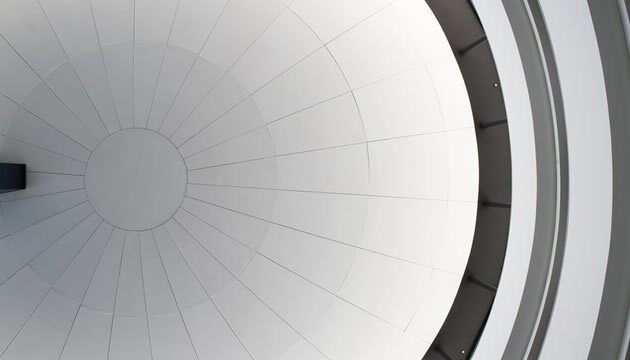 The distinguishing and unique composition of the hotel is distributed over three contemporary buildings, which respects harmony in terms of building height and maximises the use of natural light during the day, whereas at night, the interior light is directed outwards, thus creating an unreal, airy sensation. 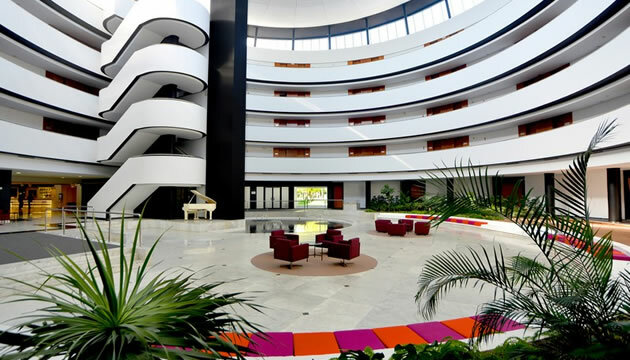 It has exceptional facilities such as restaurants, cafeterias, computer room with free Wi-Fi, outdoor pool (open during the summer season), fitness room, parking and business centre. 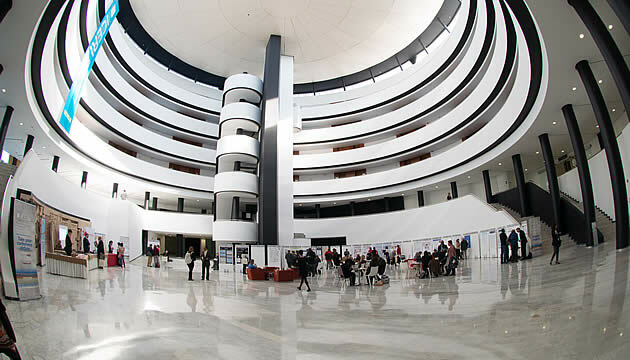 From Seville airport, head north-east on the Madrid-Cádiz motorway and follow the signs for Sevilla/A-4/E-5. 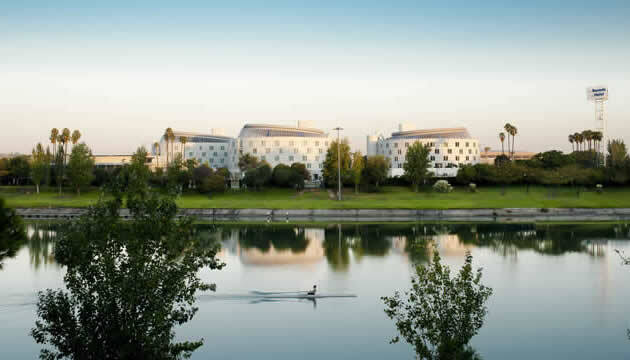 Further on, take exit 537 towards Avenida Kansas City in the direction of Seville and later take exit 537 towards Sevilla Norte/E-803/A-66/Mérida. 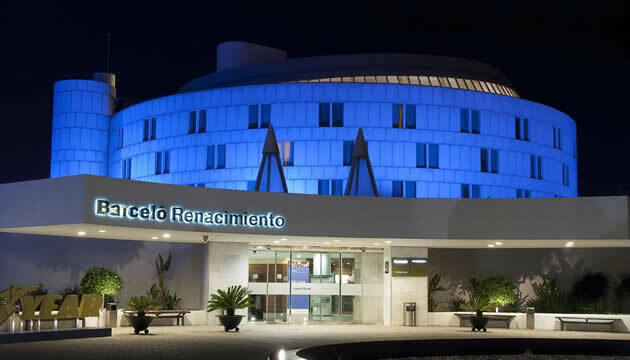 Later, take the branch road towards the ring-road SE-30 and leave at exit 21 to Glorieta General Riego, then take the third exit towards Avenida Álvaro Alonso Barba, where you will see the hotel.